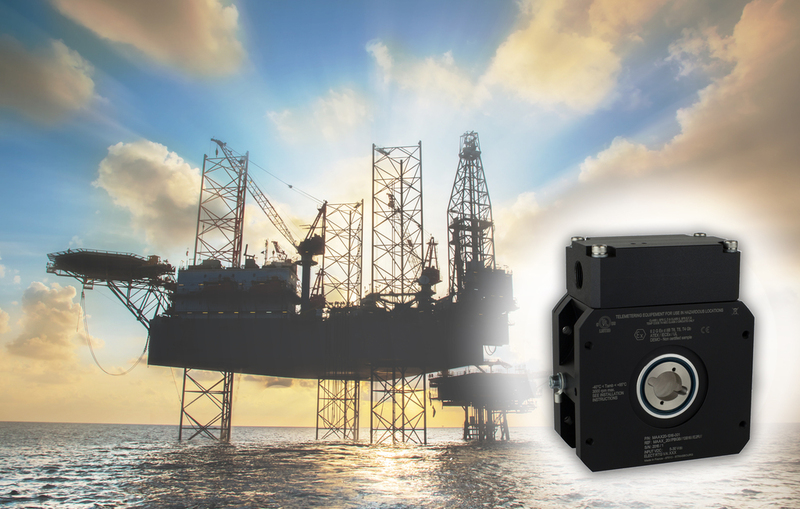 The new encoder, BEI Sensors’ model MAAX, is ATEX and IECEx certified to operate in explosive environments and features a Profibus output in a bespoke, stackable package. CANopen and SSI outputs are also available. The MAAX provides up to 16 bits of resolution as well as up to 16 bits of turns by mechanical counting. The product operates directly in Zone 1 environments without the need for an accompanying Intrinsic Safety barrier.